Golden Financial Services provides debt relief services through negotiation to help consumers reduce the amount of debt they owe to creditors. The company requires a minimum of $7,500 in unsecured debt in order to qualify and aims to give clients relief in three years or less. A free phone consultation is available where a staff member will assess the financial status of the caller and determine qualification, based on the state of residence. Programs vary by state and will be determined during the consultation. For debt validation services, pricing will be on a case-by-case basis and determined on the amount the client enrolls. For example, for a $30,000 debt, Golden Financial Services would charge $1,750, which would be divided into monthly payments. No escrow account is required. Detailed information about specific debt situations and what services are offered in each state can be obtained through a free consultation. They also have services for those who are in credit card lawsuits. They offer a free consultation helping consumers locate a lawyer to plan to resolve any legal issues. This company lacks accreditation with the AFCC. Pricing is not clearly defined and may cause confusion for potential clients. We found this is due to the different programs offered in individual states. Information on the website for pricing relative to debt owed and interest rate charged, as well as state programs would go a long way to solving this problem. Besides pricing, it is challenging to discern the services they offer and the ones that they solely consult on. The best option for discovery is to call in and ask for clarification or request a free consultation. 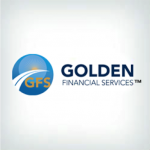 Golden Financial Services offers clients competitive rates for their settlement and validation services. They lack some accreditation which many consumers look for in a settlement business. A free consultation is offered to determine which program is available in each state. We feel it’s important to ensure consumers taking advantage of the consultation to be thoroughly informed about the dynamics of the services offered in their state. Ask questions. Obtain documentation of what is being purchased before purchasing due to the lack of concrete information existing on the website. Their additional features including their credit debt calculator and free consultation are helpful for potential clients, but overall we are concerned about their services. Their lack of pricing and accreditations cause us to suggest other settlement options. How Much Does Golden Financial Services Cost? Pricing depends on the specific customer circumstance. As an example, they say that in the case of a $30,000 settlement, Golden Financial Services would charge $1,750, which would be divided into monthly payments. Detailed information about your specific debt situation can be obtained through a free consultation. Golden Financial Services provides free over-the-phone consultations. They will talk through your debt problems, say which solution is best for you, and provide estimates on how long it will take to pay off your debt. They also have services for those who are in credit card lawsuits. They offer a free consultation that could help you get set up with a lawyer and plan to resolve any legal issues. Does Golden Financial Services Offer A Money-Back Guarantee? Yes. If a settlement is not reached, then the company will refund any payments that you have made up to that point. In the case of settlements, the funds are held in a 3rd party account that you have control of. What Types of Debt Does Golden Financial Services Work With? The company only provides services for unsecured loans. Golden Financial Services has been in business since 2004. The company strives to inform and educate consumers to make smart financial choices. GFS specializes in debt settlement and negotiation. 11 Years. Golden Financial Services has been in business since 2004. The credit card debt calculator is a great tool for seeing your options. 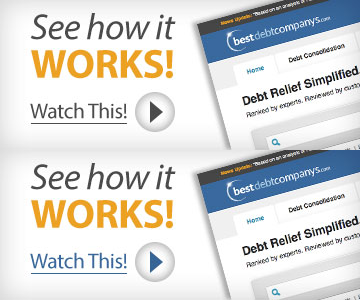 The company also authors a debt relief blog, with 3-4 new posts every month. Each post has a helpful mix of content, pictures, and video, and covers the large spectrum of the credit world. For those who aren’t as strong with the English language, Golden Financial Services offers a section in Spanish. Debt statistics and implications of bankruptcy are discussed in addition to consolidation and settlement. The website for Golden Financial Services is meant to be viewed on a computer. The company doesn’t have a mobile site, so what you see on your monitor will be compacted onto your phone screen if you choose to brave that route. If you are at any time dissatisfied with the service, you can pull out of the program without having to pay a cent more and you’ll get to keep funds accrued for settlement. The company’s main service is a debt settlement program. They will also counsel on a wide variety of topics, including debt consolidation, credit lawsuit services, student debt consolidation, equipment business loans, and general business loans up to $250,000. Another perk is a credit card debt calculator located on the website. All you need to do is enter in your current level of debt, interest rate, and the amount you can afford to pay each month. Then the calculator shows a table comparing debt settlement, consumer credit counseling, and how things would turn out if you continued to pay off the debt on your own. You get to see how long it will take to pay off the debt via each of the three options, the interest rate, and the monthly payment. The minimum debt accepted for debt settlement is $7,500. Yes, you can log in to see your account information with Golden Financial Services. For both their programs you can monitor everything that happens with it. No, they do not have AFCC accreditation. I have worked with Rick from Golden Financial Services, he has relieved my stress of being in debt. Am very pleased with the customer service and the time he took to ease my mind. I look forward to being debt free soon. I’m going to start this by saying – the company itself I’m sure is wonderful. BUT. I gave them personal information with NO follow up given to me. So now I’m worried and constantly checking my credit reports to make sure nothing is open under my name that I didn’t do. I was working with someone and was really uncertain at first about moving forward. After a few conversations with my rep and with my boyfriend, I decided to move forward. There were quite a few times I was told “I will reach out to you on this day around this time” with ZERO calls that day and time. Then a few days later I would finally hear back. There were a few times I was to reach out so I would. I spoke with my rep on a Saturday and he took preliminary information from me. He claimed to be at his home office and since my case needed an exception from underwriting, he would have to call me back that following Monday to finalize everything when he was in the office. Monday came. No call. Finally a few days later I get a call and he basically insinuates that I failed to call him. Then we speak and I get “I will call you tomorrow around this time” yet again. And that was the LAST time I heard from this guy. Now a random company has my personal information that claims to be Golden Financial but I do not trust them. I will never ever use them for anything. Not after all those red flags and a man that cannot follow up on anything he says he is going to do. Way too sketchy for me. I couldn’t be happier with Golden Financial Services, they’ve outperformed their contract, even repairing my credit. When first getting referred to Golden Financial from the Better Business Bureau website I felt comfortable but in the back of my mind was a bit skeptical. They put me on a 36-month plan and almost cut my payment in half from what I had been paying, which all sounded amazing but also too good to be true. I based my future on the fact that this company had zero Better Business Bureau complaints, I figured if their program wasn’t working there’d be some complaints, right? Well Obviously, I found out, that was the case. I kid you not, it’s been only 21 months and I’ve graduated from the program, 15 months faster than my contract said I would graduate. Their program included three separate teams working on my case at once, it was unbelievable how fast and efficient the process was. I expected to get threatened and harassed by creditors throughout the next three years, but the harassment was very minimal, and only occurred during the first six months and then completely came to a stop. The hardest part of their program was getting approved, they take their time and make you sit through a few long sessions on the phone. Once approved, the debt validation team takes over communications and quickly start working, sending me a welcoming package and beginning the credit restoration program, disputing several derogatory marks that I had on my credit for years prior to contacting Golden Financial. Within months after getting approved, I was seeing negative marks fall off my credit left and right, like past late marks and a few old medical collections. Then at the six-month mark, they knocked the big repossession off my credit! That’s when I knew this was the right company. See, their validation program starts disputing your credit from day one, and simultaneously they dealt with my large credit card debts through what’s called validation services. I am trying my best to correctly explain everything, so excuse me if I’m off on any of the terminologies, but I think I’m close to on point! I was only a month behind when enrolling in the program and needed to wait until the accounts went to the collection agency before they could get disputed, so this was the worst part of the plan because creditors were calling me. Once the accounts went to the collection agency they were immediately disputed, and within 30-60 days all of my creditors (besides one) sent me a letter saying that they agreed to stop collection on the debt due to their inability to furnish the paperwork being requested. One of the creditors sent me a letter basically saying that the debt was sent back to the original creditor. This was a scare! However, the validation team told me not to worry, and that this happens occasionally. Long story short, my original creditor quickly resold the debt to a new collection agency. The validation team immediately followed up with the new collection agency and then was able to get that last credit card debt fully disputed on that second try, exactly as it occurred with my other 4 credit card debts. Once all of the debts were proven invalid, they put me with a credit repair team who started disputing the new negative marks that appeared over the first year of the program, like the new late marks and collection accounts. I was also set up with an installment account, for the purpose of establishing new credit on my credit report. They told me that establishing new credit would be the best way of building my credit score. It’s shocking how this all came together and really worked, but that just goes to show you what kind of crooks these banks and credit card companies really are. I mean, the debts were mine, but these lenders and collectors could not prove that they were legally authorized to collect on ANY of my debts, which is just repulsive if you think about it! Thanks so much, Golden Financial Services, Paul P, Wes H and Rick S, who all set me up on the plan, and then also a big shout out to their outstanding customer service department who was always there for me when I had questions. I’ll be your best cheerleader over the years, haha, and refer anyone I know! I enrolled in a validation program with Golden Financial Services in April 2015 with $43,000 of debt & today I can say I am debt free & will stay that way, Thank you!!! Since joining the GFS team, I can sincerely say what we have to offer is the best of the best! Most companies usually offer one program for resolving their debts, but won’t guarantee the service. But with Golden Financial Services, we can, and will deliver exceptional results! Once we have successfully qualified our clients in the right program, the GFS team moves quickly and efficiently! The programs we have in place have helped thousands of people all over the country get back on track to live a happy and debt free life… granted they follow our professional advice and not default on their future debts of course! People have experienced financial and emotional freedom once successfully completing our programs. Let’s face it, unmanageable debt is a very difficult topic and most people are hesitant to ask for help but with our no obligation policy, customers can comfortably seek a consultation and make an informed decision with their best interests in mind! Hey, if you don’t believe me, just give us a call! I joined a Validation program with Golden Financial and Prime Solutions15 months ago and have had stellar results. I was buried in debt with credit cards and private student loans. The program went very smooth and not only did they actually get rid of my debt of over $35K my credit reports have been cleared up and I look like real hero on credit. I can’t thank GFS enough for the excellent recommendation and service they’ve provided. This is the REAL deal! Professional, communicative and follow-through with spectactular results. I strongly recommend this company and this program to anyone buried in debt that’s stressing you out. These guys really helped me out. I joined their debt validation program back in 2011 and I am now debt free. They repaired my credit last year and I am now getting approved for the mortgage that I have always wanted. They resolved all of my debt and repaired my credit. I can’t believe it these guys are truly awesome. I am telling you, this is like a miracle. By submitting this form, I consent to receive calls using automated technology from Golden Financial Services at the number provided and understand this is not a condition of purchase.